We are starting yet another new week for BM#55 with me trying out my hands at an interesting theme – Make in a Muffin. somehow I always loved the idea of cooking in a muffin, not just a muffin but almost everything else. The idea was so pressing that I had to include it in this edition and I desperately wanted to try my hands at various ideas I came across. 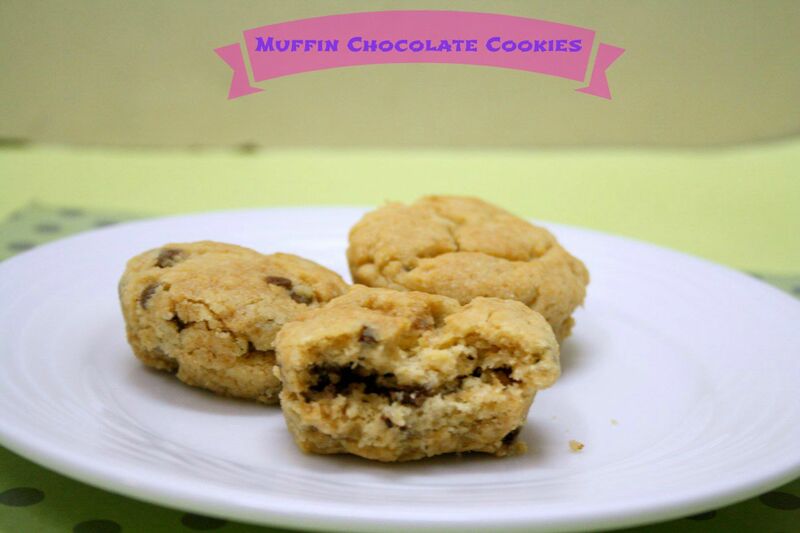 Making something in muffin ensures you have single serving and portion control. I enjoyed making pizzas and other savory dishes in this as well. While I was quite prepared for the Healthy Breakfasts being done in Spice your Life!, this theme looked bleak. I was so caught up with cooking for Sep Mega BM as none were ready, I almost thought I might be skipping it. I started making it almost after dinner was done last night. I was inspired by this idea, though I ended up making it randomly based on my previous cookie recipes. As always when baking a cookie, I think to myself that I should give sometime for the cookie to settle down and harden. I am always in a haste. However my boys were so excited and declared it heavenly! the next two dishes on time this evening! I hope you will enjoy this treat as much as my kids did! 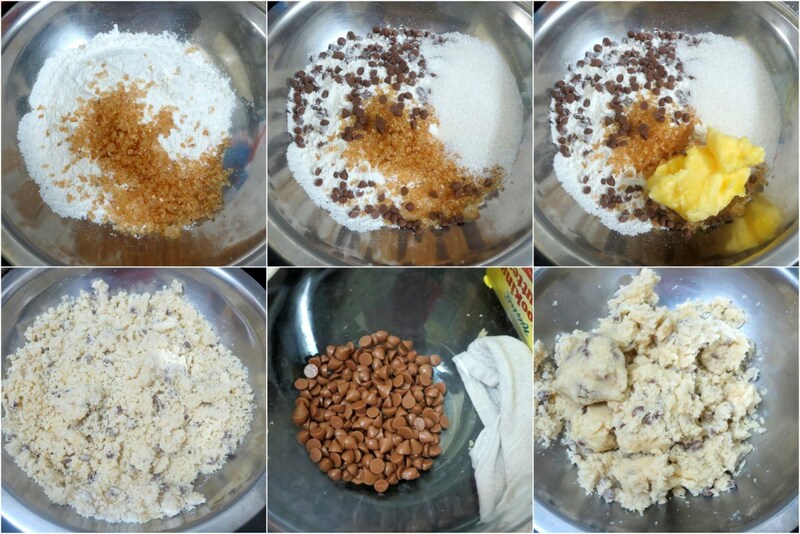 In a bowl, take the flour, add soda, sugars, choco chips and mix well. Then add the soft butter and mix to a dough. If needed add a tsp of milk. 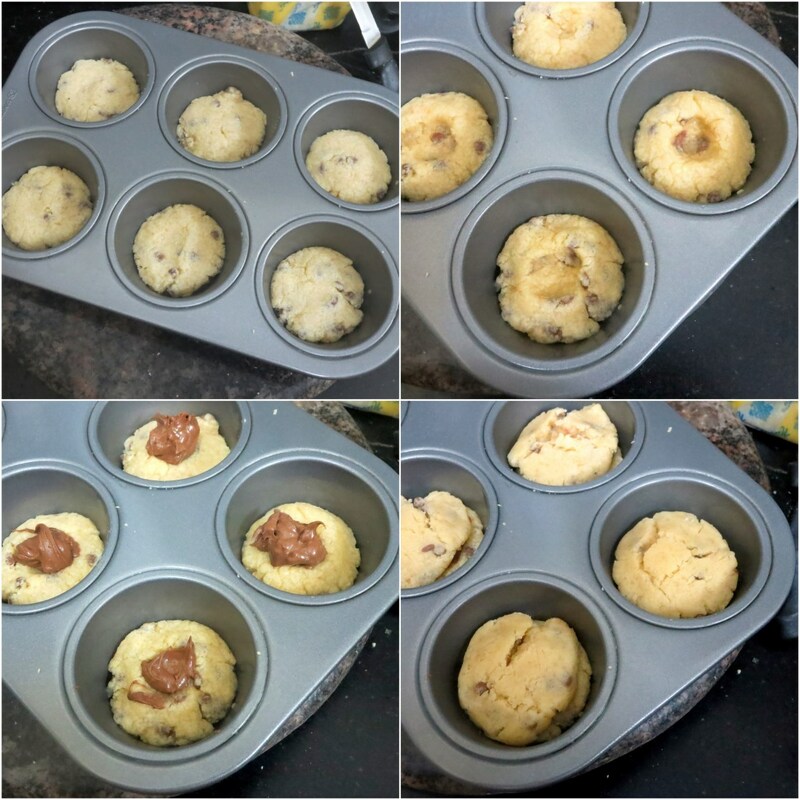 Divide the dough into 12 equal balls. Flatten 6 balls and place in the muffin tray. Bake in a pre heated oven at 185 C for 10 mins. 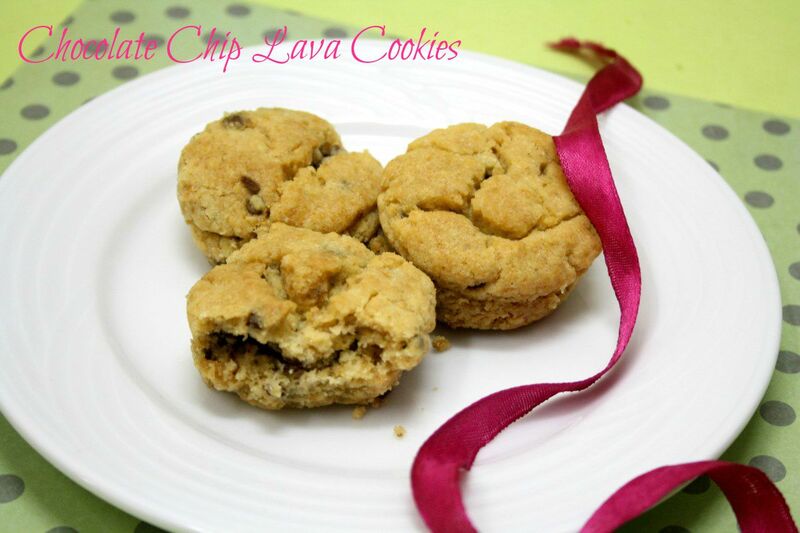 Melt the choco chips till soft, keep it aside. Remove, make dents in the center, pour the melted choco chip and place the other flatten cookie and press well to enclose completely. Bake again for 15 mins, rest to cool down and store it in an airtight container. That's a really unique idea Srivalli. And I aboslutely agree that the hardest thing with cookies is letting them cool. So drool worthy! My trials with choco lava havent been all that successful, but honestly when its chocolate how does it matter whether its molten or set :D? Interesting cookie valli, lovely idea!! Sinful Valli. I am not sure my older one can handle the chocolate inside but I should try these sometime. 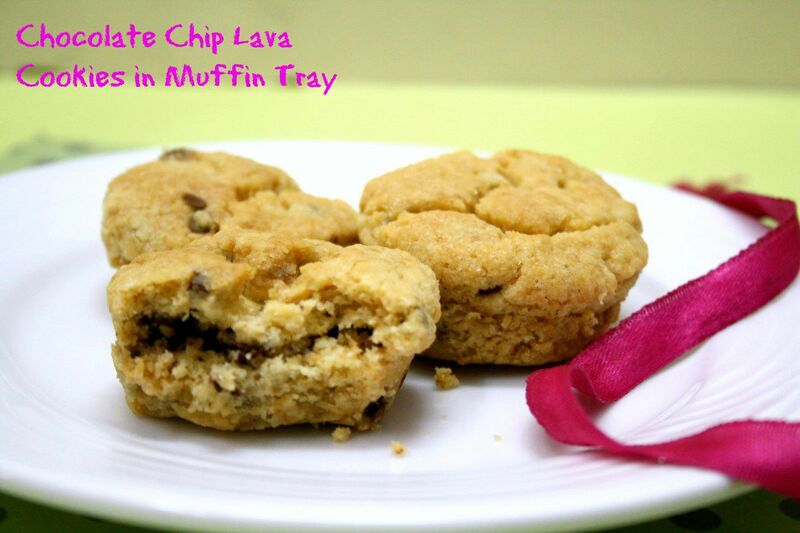 cookies in muffin tray is a great idea..looks delicious..